“It’s clear what provider we’re going to use. So much effort is lost…when different organisations are pulling different ways like ‘we want to use this for sales automation’ or this for something else. We don’t have those discussions about what supplier we’re going to go to for things. So that actually dramatically simplifies it,” he says. Having one main supplier the company also has “incredible standardisation” Sunday says (there are, however, a number of external suppliers in areas like communication and collaboration tools, and security). “The huge one is when we do something, we do it globally and I don’t have to deal with 47 versions of something,” he explains. There’s also the handy advantage in the fact “we have everything that Oracle ever built. We have everything that Oracle ever bought and we have it for free,” Sunday points out. The unlimited and free access to all of Oracle’s offerings does bring its own challenges. “Just because you can doesn’t mean you should. The toughest thing I have is – how do we really narrow it down to the critical few? Because we have so many ideas, and so much immediate access to technology,” Sunday says. But it has meant some atypical uses of tools within the IT group, like using marketing automation tool Eloqua to run internal change management campaigns. “Over the last year or two, with a person working a few hours a day equivalent, we migrated all of our communications to Eloqua,” Sunday says, a tool an IT organisation would usually not go and buy for themselves. “We just have it available,” he adds. With the cloud transition nearing completion, Sunday is now eyeing a venture to pool and serve employee knowledge and experience. He calls it ‘Employee IQ’. “I want Oracle to be the best company in the world – for the day someone accepts an offer, through the onboarding – of first of all being aware of what you should be aware of, then being able to garner the information, the training, being able to make a request, or garner support. 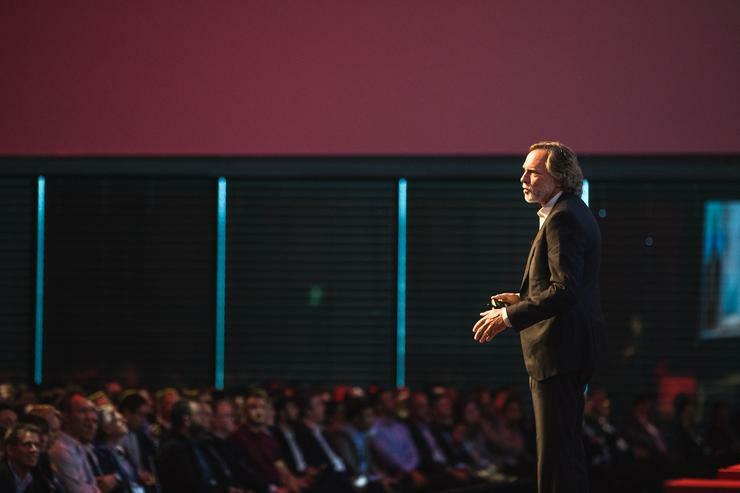 Not just for IT but as an integrated capability across every function within Oracle,” he says. A deployment of Oracle’s Service Cloud Knowledge platform has begun. Around 40 functions have already been covered. There’s also an internal Youtube style video platform for information and tutorials. The platform will eventually be able to answer everything from ‘How to put enterprise mobility management on your phone’ to ‘What is Oracle’s blockchain strategy?’ and be enhanced with chatbots, mobile and AI. “We have all these assets so I’m really excited about the opportunity it offers us,” Sunday says. A roll out of the SAFe scaled agile framework across the IT function and beyond – a tough task given the geographic spread of employees – is also underway. The approach is already having a positive effect on employees (“I’ve never seen them so motivated and engaged,” Sunday says), is stripping out the “white space” between functions and is giving various business functions the chance to broaden their skills. Despite the challenges ahead, Sunday is keeping his cool.